As a large, complex, and heavily visited site, it can be challenge for our small team to make sure that extension users and developers have a good experience on addons.mozilla.org (AMO). Fortunately, we are not alone. 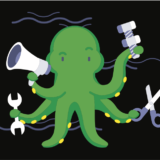 Thanks to volunteer contributors who share their time, energy, and talent, we’re able to extend our ability to extend the web by fixing reported bugs, implementing routine updates, landing new features, and moderating content listed on AMO. We’d like to acknowledge and thank the following community members for their contributions to AMO from April – June 2018. Last quarter, 19 community members submitted 68 patches to fix a variety of frontend and backend issues on AMO, like removing obsolete code, keeping the content on the Developer Hub up-to-date, making it easier for users to rate add-ons, and making sure the user interface stays tidy. Many thanks to community members Biskit1, Ankush Chadda, Deepanshu Jain, Dominic Lee, gabbyjose, Lavish Aggarwal, Manish Devgan, Piyush Mittal, Raffaele Spinelli, Revi, Sanyam Khurana, Sean Prashad, Shivam Singhal, Svitlana Galianova, Swarnava Sengupta, Trishul Goel, TwinProduction, Vimal Raghubir, and xu3u4 for their code contributions to improve AMO! No one enjoys coming across spam or unsavory themes while browsing AMO, or installing an extension that comes with a nasty surprise (like compromising user security). Our team of volunteer reviewers helps ensure that users have a good experience on AMO by moderating extensions and themes to make sure they comply with our Acceptable Use Policy and Add-on Policies. We would like to extend a special thanks to this quarter’s top reviewers: erosman, rctgamer3, Ett Chung, B.J. Herbison, Jyotsna Gupta, happy-ferret, Pam, and candelora for their exceptional contributions to the review process during the last few months. Community members contribute in many other ways to keep the add-ons ecosystem vibrant and strong. To learn more about these contributions, please visit our recognition wiki. To get involved, wiki for current contribution opportunities!